DIAGNOSTIC FEATURES: Terminal soralia, medulla P+ red-orange; compare with R. intermedia which is mostly attenuate with isidiate branch tips, P-. and with R. pollinaria which has branch tips conspicuously widened, P-. 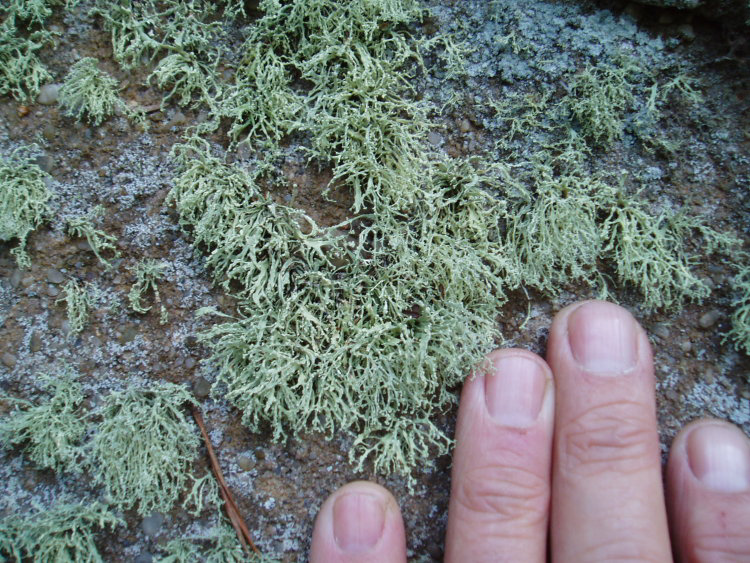 ECOLOGY: A recently-named species found in the Appalachian Mountains; fairly rare in Ohio with recent collections from five counties, all on semi-shaded sandstone. Sometimes found with R. intermedia and/or R. pollinaria.